The idea of starting a company had originated with three friends in 2003, coming to fruition in 2012 after each partner had spent the intervening years gaining experience, expertise and diverse skills in the financial field. I grew up in Polokwane(Limpopo) where I matriculated from Polokwane High School (PHS) in 2002. I started my studies at the North West University (Pukke) and joined Caput Men’s residency, were I met my good friends, and now co-owners of Accounting Central. I completed a B.Com Chartered Accountancy degree in 2005 and started an Honours degree in Managerial Accountancy in 2006. My practical and professional experience commenced directly afterwards when I began when I began my articles at a medium sized audit firm in Garstfontein, Pretoria. While working there I managed to complete my Honours degree in accounting (CTA) from Unisa and proceeded to follow my ambition towards becoming a CA(SA). I gained exceptional experience during my years as article clerk and became well versed with private sector industries. After the 3 year learning contract I started as an audit manager at a firm in Lynnwood, Pretoria. I completed the board examinations in 2012 and registered as a Chartered Accountant and independent auditor shortly afterwards. I am currently a director of Accounting Central North Inc and Ubuntu Financial Consultants (Pty) Ltd.
My analytical approach to financial information together with my proactive involvement towards all my contracts has proven to be a winning combination to meet the clients’ needs in a timely and professional manner. I was born in the small country town of Lichtenburg in the North West Province, where I grew up and matriculated at Lichtenburg High School. I studied at the North West University (PUKKE) where I completed my BCom degree in Management Accounting and my BCom Honours degree in Financial Accounting. During this time I was a resident of Caput men’s residency where I was in the privileged position of captaining our chess team and managing the club house. I started my professional career as part-time employee in Lichtenburg and gradually progressed to an internship position (articles) in Johannesburg, Gauteng. After completion of my articles I was appointed in a managerial position at an auditing firm in Johannesburg North. Here I gained invaluable experience which subsequently led to my appointment as financial manager for the Ditsibi Group of companies based in Montana, Pretoria. I joined the independent accounting body SAIBA (South African Institute for Business Accountants) to pursue my career as a professional accountant which eventually led to my departure from the Ditsibi Group. I was introduced to the public sector though my involvement with in various audits for the SETA’s. I was the audit senior of the ETDP SETA (Education) before completion of my articles. During my term as audit manager I was introduced to the Municipal environment. I played an integral role in the preparation of the financial statements for both Lekwa and Thabazimbi Local Municipalities in 2011. Both these municipalities showed improved audit reports, clearing their reputation for earning negative audit opinions. I have widespread experience in the private sector. My main focus is construction, manufacturing, retail, the automotive industry, property rental, consulting and other services. I have been involved with various entity types which include companies, close corporations, trusts, body corporates, individuals and joint ventures. I am currently a director and part owner of multiple companies, for example a furniture retailer in Fourways, Johannesburg, as well as a property company owning various properties. I am a strong believer in diversification, rather than saturation, in a single sector of the economy. I strive towards maintaining a high standard of ethics and promoting my clients’ interests. I am single-mindedly dedicated towards my deadlines and creating a customised solution for each client. I’ve been a proficient gardener since my childhood and find it a relaxing pastime. I became a member of the Northern Clivia Club which enables me to share my passion for these plants with like-minded people. My passion is not always shared by my two Jack Russels who love to rearrange my garden… I’ve travelled across large areas of South Africa during my career and find myself fascinated by its geographical diversity. I aim to expand this knowledge with my wife over the next few years. I grew up in Ladismith, a small rural town in the Karoo. It has certainly given me an appreciation for the rural life and its simplicity. After attending Oakdale Agricultural High School in Riversdale, I attended the North West University of Potchefstroom where I obtained my B.Com Charted Accounting degree in 2005. I started my professional career as owner and administrator of a small transport company, LDS Transport. 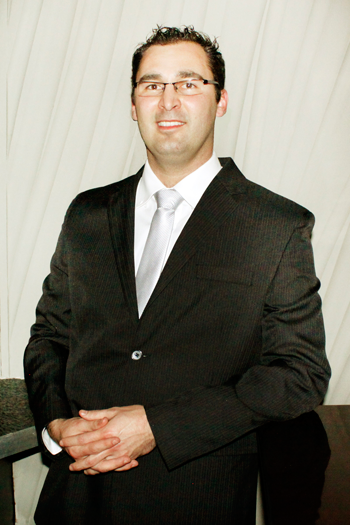 In 2006 I became a trainee accountant with Moore Stephens Chartered Accountants in Cape Town. During this period I gained extensive exposure to the manufacturing industry with clients ranging from the manufacturers of pre-casted cement structures, manufacturers of fruit chutney and other food related products such as whipped cream, plastic blow moulding machines, and a listed mining company. I contracted to Sanlam / Coris Capital with the aim of the project being the migration of old legacy pension funds on the Sanlam platform to the new standardized platform of Coris Capital. I then joined the accounting department of the Bridge Group (formerly Onesys) where I managed a large staff component. I was extensively involved in the rolling out of a new business model for the group and gained a thorough understanding of the company’s in-house operational system. I eventually left the accounting world to join the operational side of the company where I was responsible for the registration of new credit providers, linking them with electronic banking and the bridge system. I was also responsible for the registration of the companies with the National Credit Regulator (NCR) and other regulating bodies. I spent the majority of my time helping to improve the operational system. I did this by analysing vast quantities of data to which I applied accounting principles. This has enabled me to gain enormous experience of databases and the workings of computerised systems. I have a keen interest in the improvement of existing systems and automation of functions. I started a company which registers new companies and sells shelf companies via the internet. This stimulated my interest in e-commerce and a desire to expand my knowledge in this field. I was the owner of a finance company and a company that registered new and shelf companies, this underlining my passion for business. I love nature and active outdoor sports, the Karoo, my family and have a passion for travelling. I have traveled to Namibia, Botswana, Zimbabwe, Zambia, Mozambique as well as abroad to Australia, New Zealand, Singapore, the UK, the Nederlands, Belgium, France, Germany, Austria and Switzerland. I find the cultures of the different countries I visited fascinating and would love to add more counties to the list. It has certainly broadened my already exceptional general knowledge. I have entertained guests from overseas, by escorting them on tours to various parts of South Africa. © Copyright 2013. Accounting Central. All Rights Reserved.